Dr. Pete from Moz posted on Twitter that he projects that by June 2017, 50% of the top search results that come up in Google will be of sites over HTTPS, not HTTP. 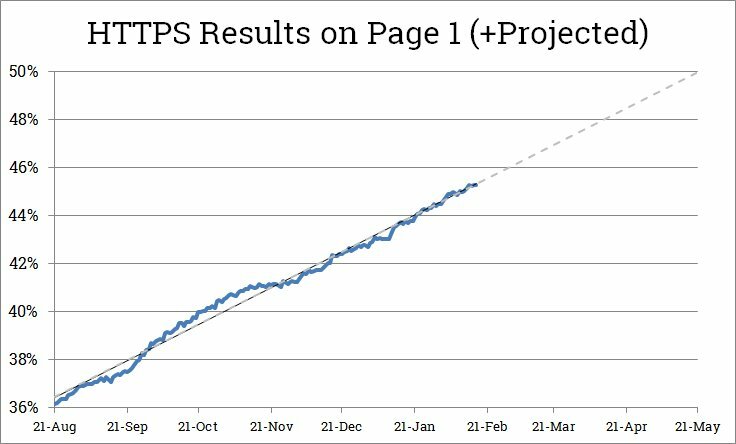 He said, "Page-1 HTTPS results topped 45% in our 10K tracking set. Trendline predicts we'll hit 50% in three months..."